Valentine’s Day is right around the corner, which means it’s the perfect time to spoil mommy! Moms work so hard during the year, so it’s only fitting to shower her with lots of goodies for the holiday! 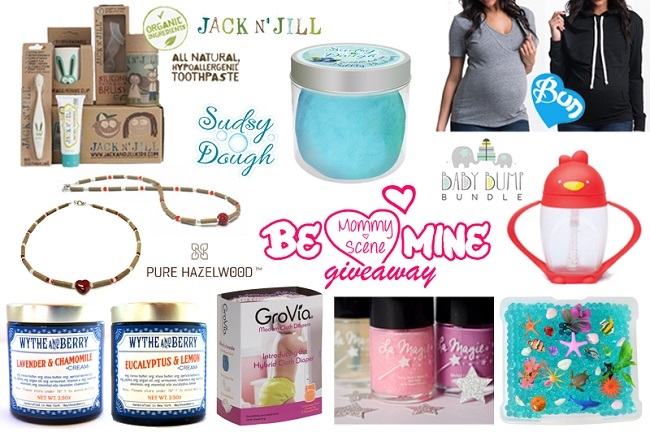 And with over $400 in prizes, this Be Mine Mommy Prize Pack is sure to put a smile on the moms in your life. Check out all of the goodies and be sure to scroll down to enter and win! I love everything, but if I have to pick one thing that I would love to win, it would be the Jack n Jill Bunny Gift Kit. Thank you! 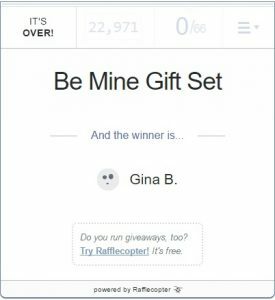 I’d love to win the Revelae Kids Discovery Box! Our family’s favorite Valentine’s Day activity is sharing a dinner of delectable heart-shaped goodies – including homemade heart-shaped cookies! My husband and I do not really do anything for Valentine’s Day because we want to avoid the crowds of people. Lavender & Chamomile + Lemon & Eucalyptus. Our favorite Valentine activity is making heart shaped sugar cookies and then decorating them. I would probably most want the Bun Maternity. I’m in need of more attractive clothing that will fit with me but a lot of the items seem useful. I would like to win the Wythe and Berry creams. The Bun maternity clothes are darling!!! I’d love to win these fabulous items especially the Revelae Kids Discovery Box. The sippy cup! we forgot to put them on our registry and now have none! I would most like to win the Classic Black Cozy Nursing Hoodie + Cozy Nursing Tee from Bun Maternity. We have special favorite foods for Valentine’s Day. I would like the pure Hazelwood necklaces the most. My family’s favorite Valentine’s Day activity is to be together for a special homemade dinner followed by a homemade red velvet cake and cupcakes for the grandkids. Organic Vegan Creams from Wythe and Berry looks great. Lots of great prizes!